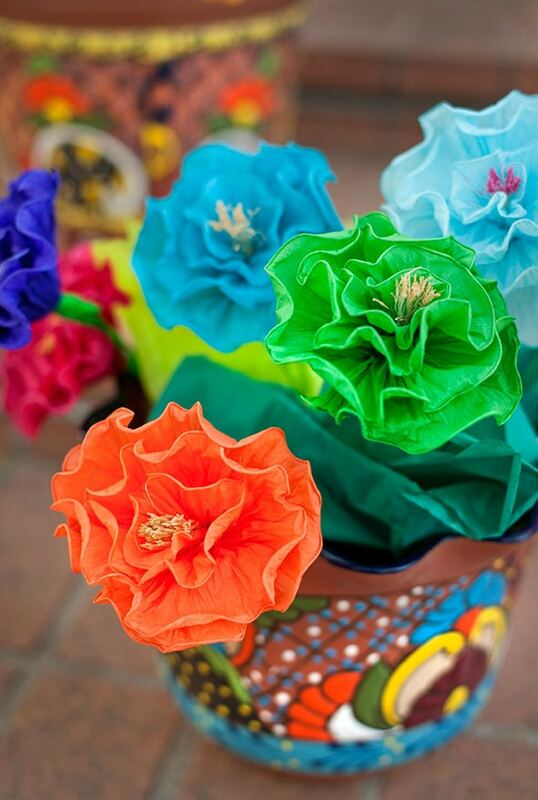 Are you looking for fun and colorful Cinco De Mayo party ideas? Check out these 20+ ideas for decorations, desserts and more! Are you ready to get your fiesta on?! I know I am! I just love the festive, bright colors, delicious food and drinks, and fun music that traditionally come with this holiday. 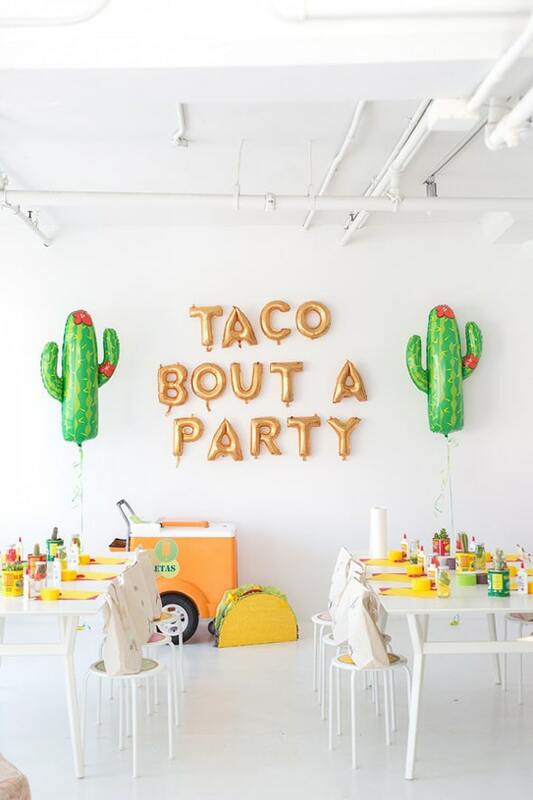 Here are 20+ amazing Cinco de Mayo Party Ideas that will turn your party into one true fiesta! 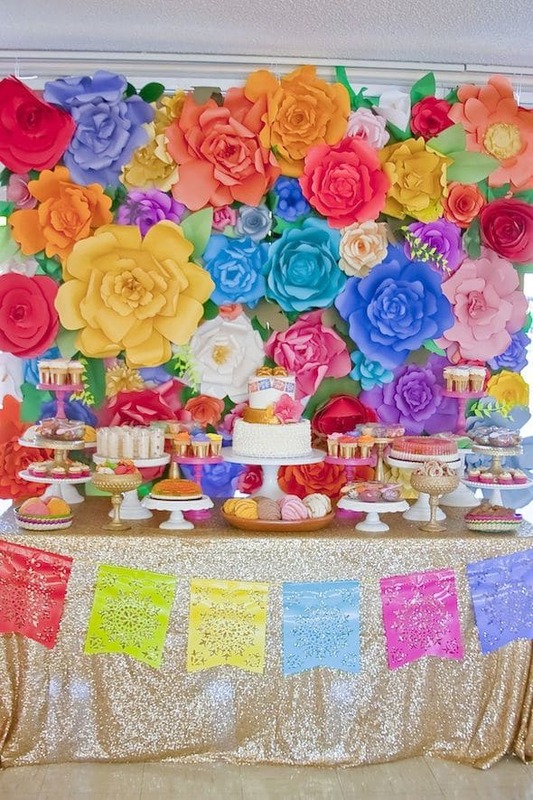 This colorful Mexican-inspired dessert table by Minted and Vintage is just the thing to get your fiesta started! Seriously, how gorgeous is this?! 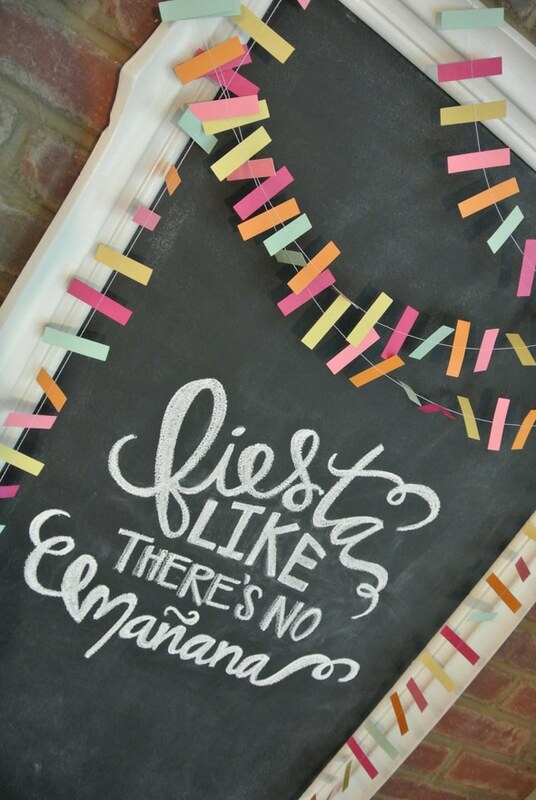 Get some fun chalkboard frames for your table and add some colorful confetti like this party from 100 Layer Cake-let. Photo by Chris and Kristen Photography. 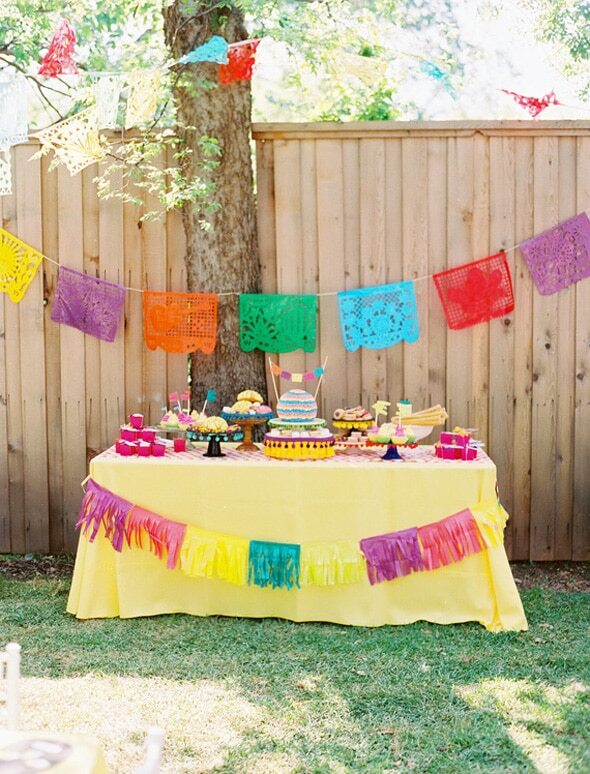 Set up a bright and colorful taco bar or food and dessert table for guests like this party featured on 100 Layer Cake-let. Photo by Ben Q. Photography. 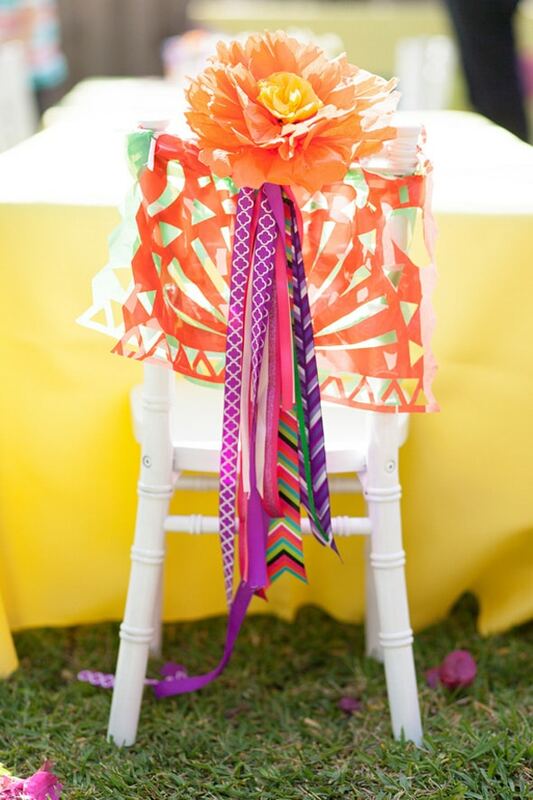 How fun is this colorful fiesta chair decoration – perfect for a Cinco de Mayo party or wedding?! Party featured on 100 Layer Cake-let with photo by Ben Q. Photography. 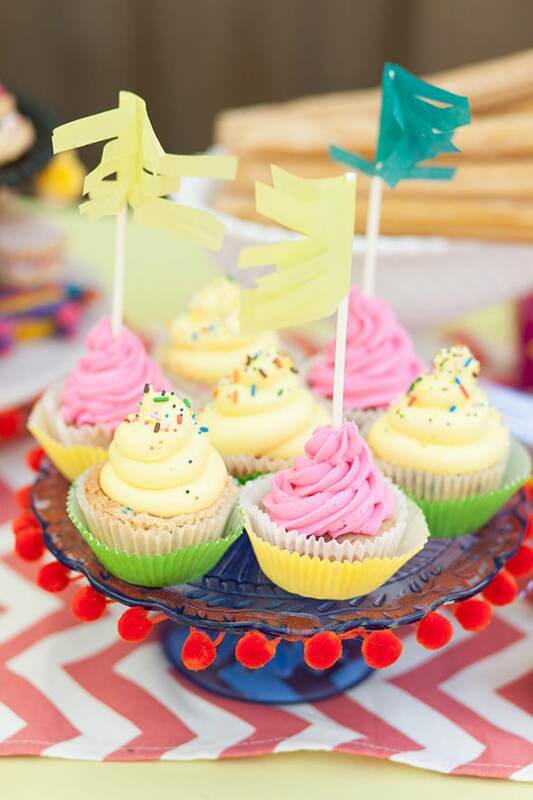 Grab some colorful tissue paper and lollipop sticks and you can have some fun and festive cupcake toppers! Party featured on 100 Layer Cake-let with photo by Ben Q. Photography. A fiesta, well isn’t a fiesta, unless you have chocolate tacos, right?! Get the recipe over at Love From the Oven. Make your very own festive and colorful Papel Picado Banner for your Cinco de Mayo fiesta like this one from Frog Prince Paperie. Plan a romantic Cinco de Mayo dinner for two like this gorgeous one featured on Style Me Pretty! How fun is this tee?! You will definitely be a hit at any Cinco de Mayo celebration this year with this tee on from Big Time Teez. 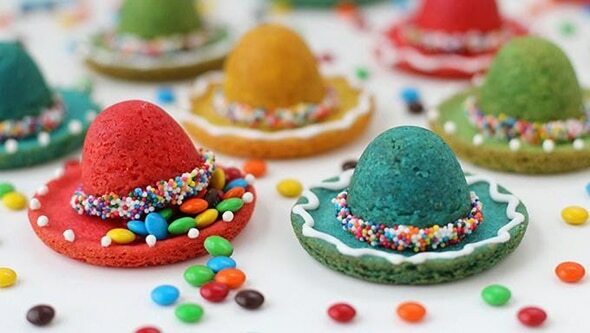 These sombrero pinata cookies from Hungry Happenings will be a hit at your fiesta. See how to make them on Tablespoon. 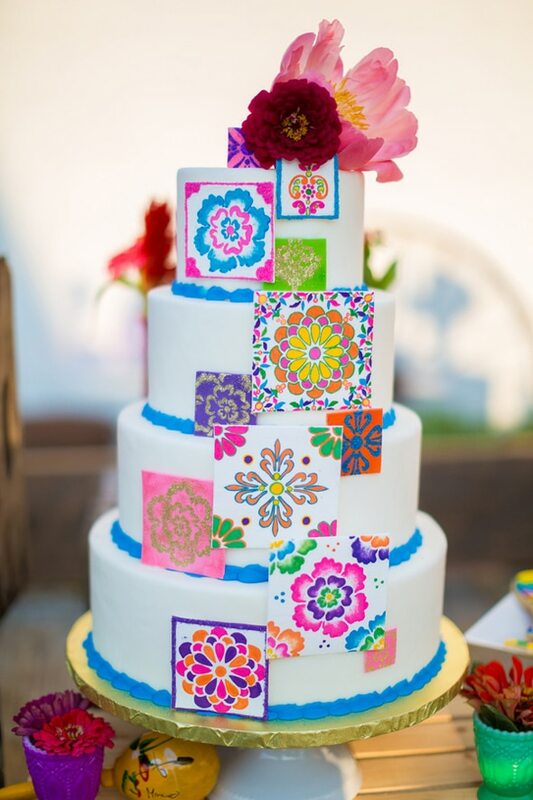 Make a Jumbo Papel Picado for a fun photo backdrop like this one from Camille Styles. Get this fun and festive chalkboard printable and make your own sign like this one on Little Baby Garvin. The chalkboard print is available at Garvin and Co. on Etsy. 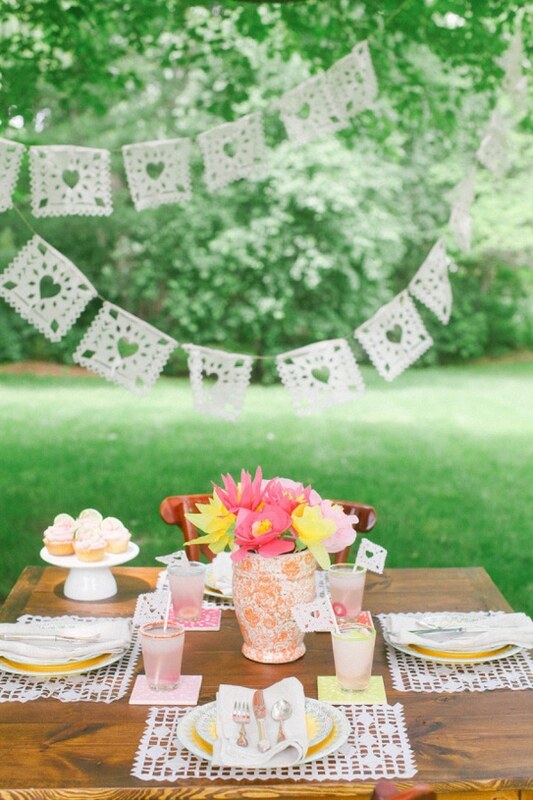 Get the kids involved and throw a fun kid-friendly fiesta with ideas from Studio DIY. 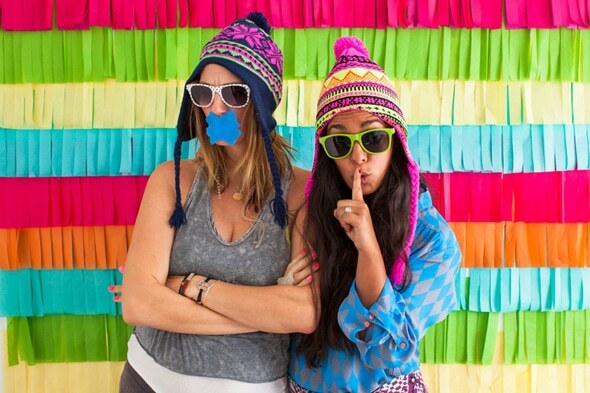 We’re loving this fun and colorful DIY Fiesta Fringe Photo Backdrop featured on Brit & Co.
No matter if you’re throwing a laid-back fiesta or a festive wedding, you still need amazing cake like this one featured on Ruffled. Cake by Apron String Bakery and photo by Tami Melissa Photography. 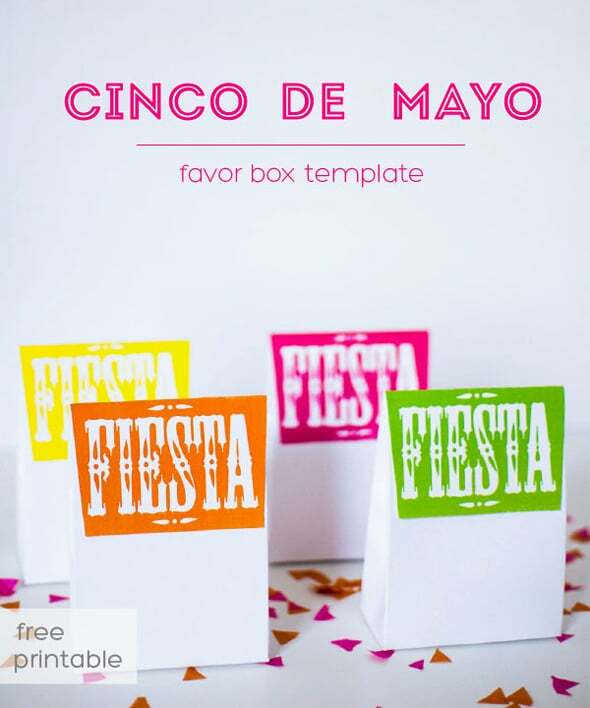 Get these free Cinco de Mayo Party Favor Box Printables from Paper Loving. 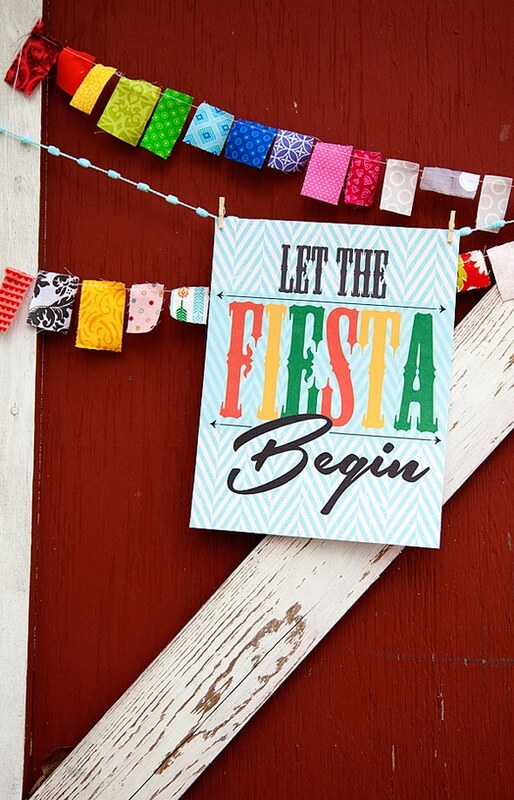 Let the Fiesta Begin Printable from Whipperberry is perfect for your party or to greet your guests into your celebration! 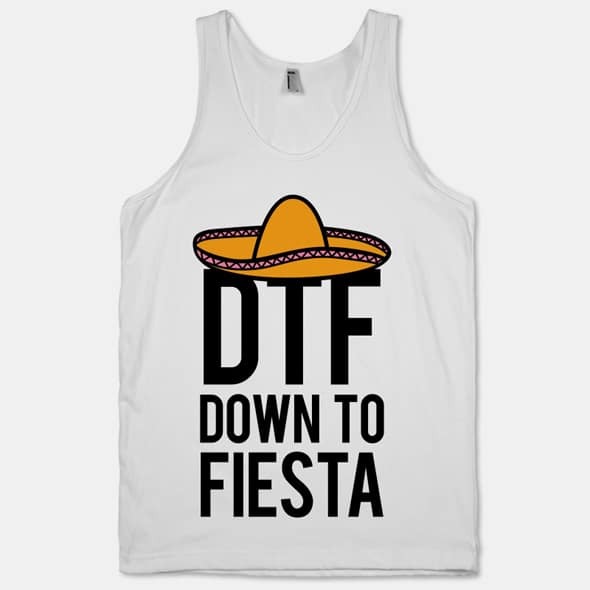 Are you DTF – Down to Fiesta?! 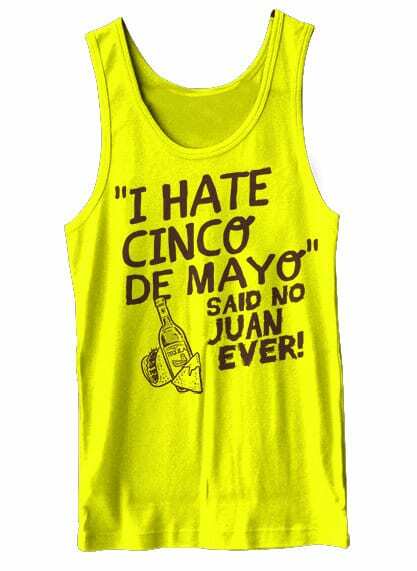 This fun shirt is a must-have for any Cinco de Mayo celebration. Get it from Human. 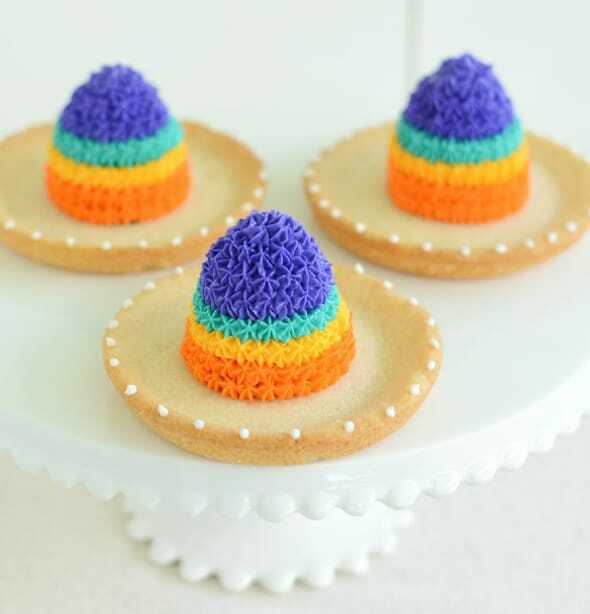 Learn how to make these fun sombrero cookies with a tutorial from Jacks and Kate. 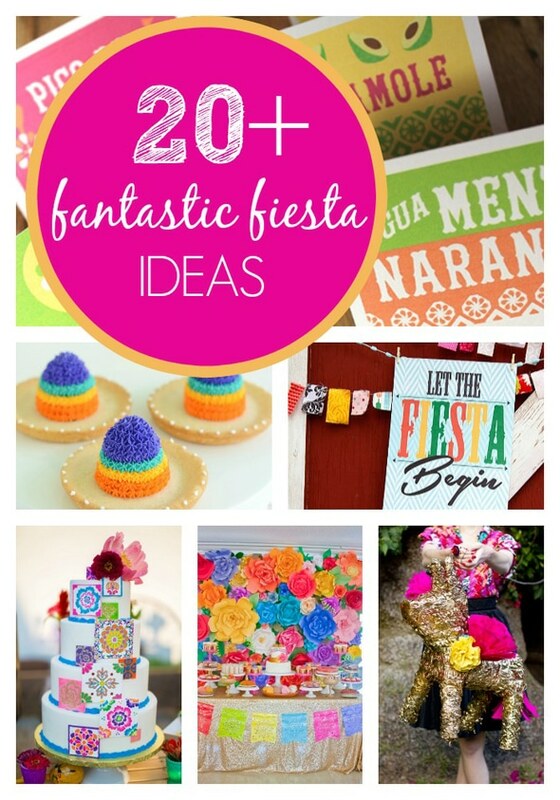 These free fiesta printables from Happy Thought are perfect for your food table! 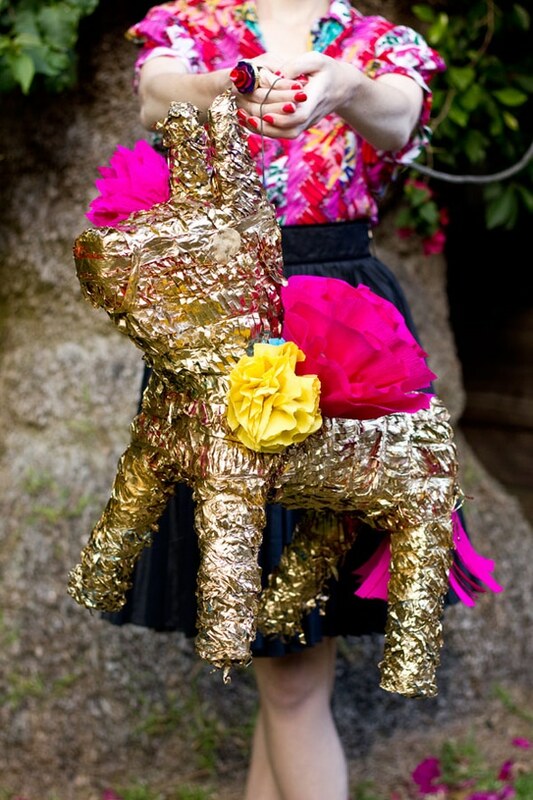 How fun is this DIY Pinata Makeover from Studio DIY?! This would be perfect for a backyard fiesta! 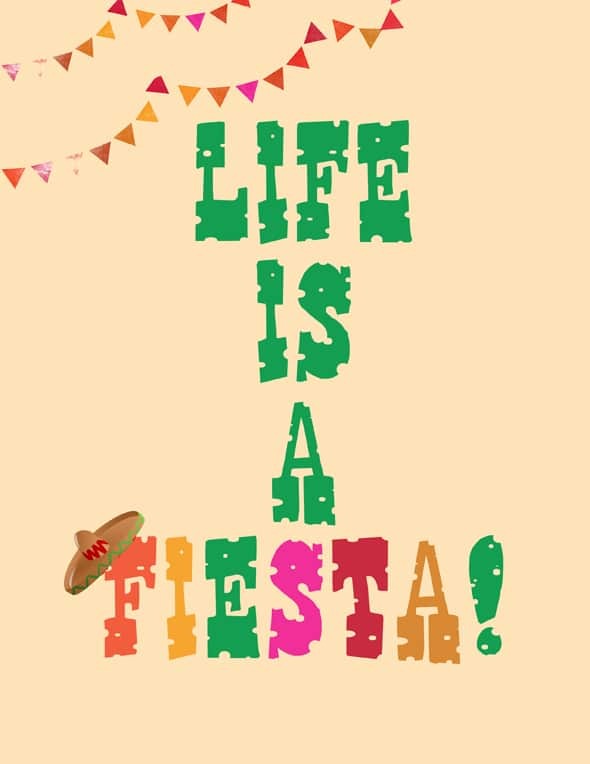 Get this Life is a Fiesta free printable from Creations by Sasha! 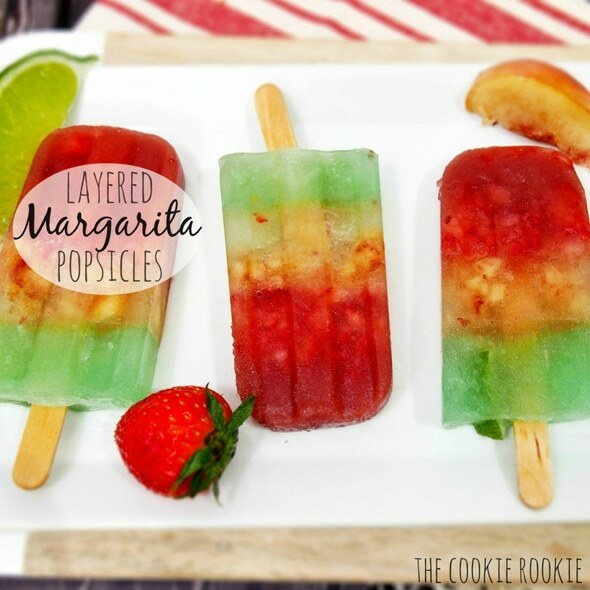 Cool off with these fun layered margarita popsicles from The Cookie Rookie. And don’t forget about the Margaritas! CHEERS! 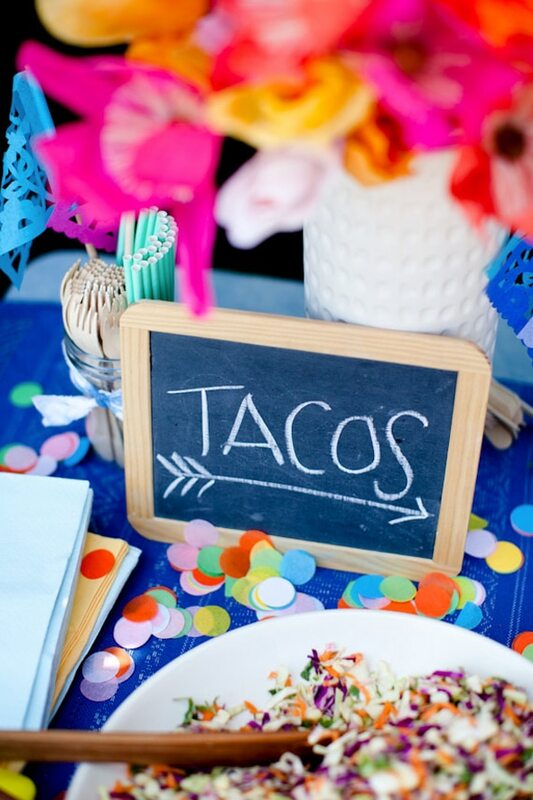 Which Cinco de Mayo party ideas are your favorite? Let us know in the comments below! 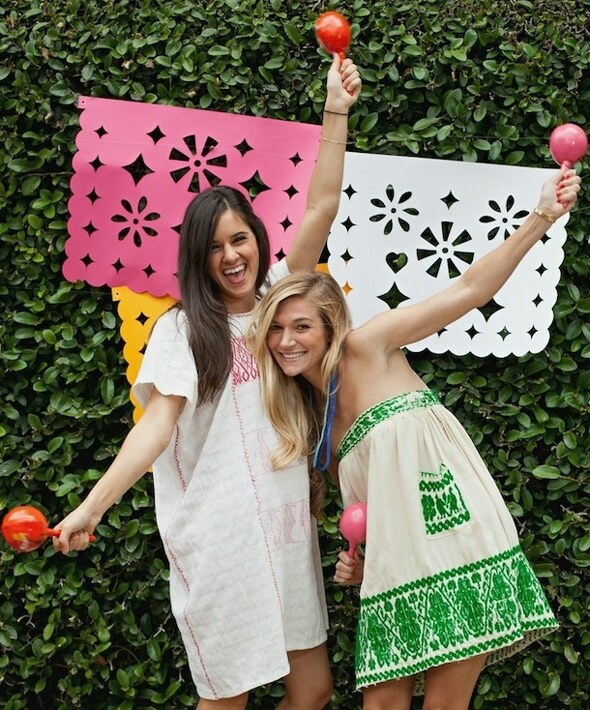 Plan the ultimate fiesta with these party supplies! Sign up for a 30 day FREE trial of Amazon Prime and get FREE 2-day shipping on your party products.